Dr. Adam Graves’ journey toward natural medicine began in college when he started seeking natural treatments for his severe asthma and allergies. He decided to become a naturopathic doctor after his father’s struggles and death from cardiovascular disease. Dr. Graves believes in the body's ability to heal itself and utilizes therapies that are safe, natural and effective. Every illness has an underlying cause; Dr. Graves is trained to find and remove those underlying causes. He works alongside his patients, encouraging them to take an active role in their health. He combines his diverse background and experience with tools and wisdoms from Eastern and Western medicine, providing true integrative health care. His practice incorporates many effective therapies including acupuncture, clinical nutrition, dietary therapy, herbal medicine, homeopathy, hydrotherapy and behavioral medicine. Trained as a Naturopathic Doctor and Acupuncturist, Dr. Graves has worked with a wide range of health conditions. He specializes in complex cases, pain management, digestive disorders, infertility and pediatrics. Dr. Graves is a Naturopathic Doctor and a Liscensed Acupuncturist. He received his Doctorate in Naturopathic Medicine and Masters of Science in Acupuncture at Bastyr University, in Seattle, Washington. Dr. Graves has a passion for helping his patients in their journey towards health. This is evident in his compassion and honest approach. When not helping others, he loves spending time with his wife and two children. 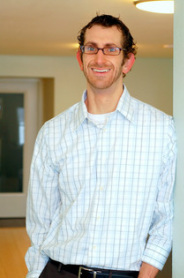 Dr. Adam practices naturopathic medicine and acupuncture. Learn more about this Colorado Naturopathic Doctor.